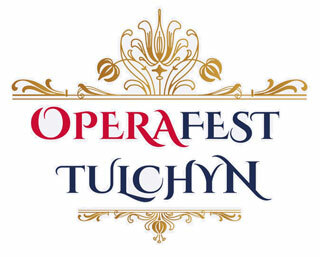 On 04.06 - 09.06.2019 in Tulchyn, Vinnytsia region will take place Operafest Tulchyn - five days of open air opera with headliner of Polska Opera Królewska and other performances from classic opera to modern musicals. The venue of the festival is Pototski Palace in Tulchyn. Within five days 12 grand performances will be presented by the best theaters and soloists of Ukraine, USA, Poland and Germany. In total Operafest Tulchyn will feature a record number of artists - more than 700 participants. The festival will be divided into two major parts: Grand Operafest and Kids Operafest which will host the only "Colors of Wind" show in Ukraine based on Disney's legendary cartoons featuring Disney Entertainment singers. - Fairy Tale "King Blackbird", unique Disney Show "Colors of Wind" and vibrant musical "Huckleberry Finn's Adventures"
- Grand concert "Gala-Opera" and Ukrainian-German premiere of the world-famous opera by Robert Schumann "Paradise and Peri"
- Premiere of Polish Opera "Straszny Dwór"
- Ballets "Cathédrale Notre-Dame de Paris", "One Thousand and One Nights" and "Tango Stories"
- Musical show "Lights of Broadway" and legendary "Vampire Dance"
- Opera in the style of Ukrainian Tango "Hutsulka Xenia"
- Chorus show "Tropical Carnival"
- 1st section - "Gala-Opera"
- 2nd section - Opera by Robert Schumann "Paradise and Peri"
22:00 - Opera "Hutsulka Xenia"
- 1st section - Chorus show "Tropical Carnival"
- 2nd section - Ballet "Histories in Tango Style"
18:00 - Polish Opera-Concert "Straszny Dwór"
21:00 - Ballet "Cathédrale Notre-Dame de Paris"
00:15 - Night program - Musical show "Vampire Dance"
18:00 - Ballet "One Thousand and One Nights"
21:00 - Musical show "Lights of Broadway"
17:00 - Opera Fairy Tale "King Blackbird"
15:00 - Opening of Kids Camp with Concert "Children to Children"
17:00 - Musical "Huckleberry Finn's Adventures"